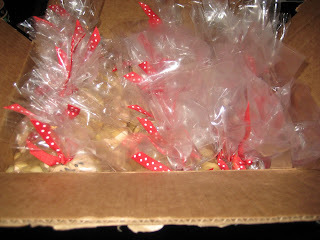 Cookie Decorating, Cupcakes and more! 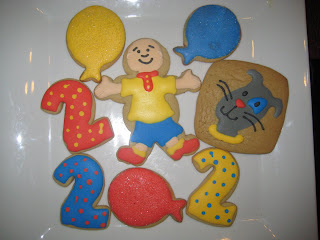 I had never heard of Caillou before, so when my friend from work asked me to make her son some cookies for her son's 2nd birthday featuring Caillou and his cat Gilbert I was super nervous! I think they turned out pretty great! I freehanded Gilbert from a picture Jen had given me and I think he's my favorite! I used a Gingerbread Boy cookie cutter for Caillou so it gave me a form to work from. The balloons needed a little "pizzaz" so I covered them in sanding sugar to give them a little sparkle. 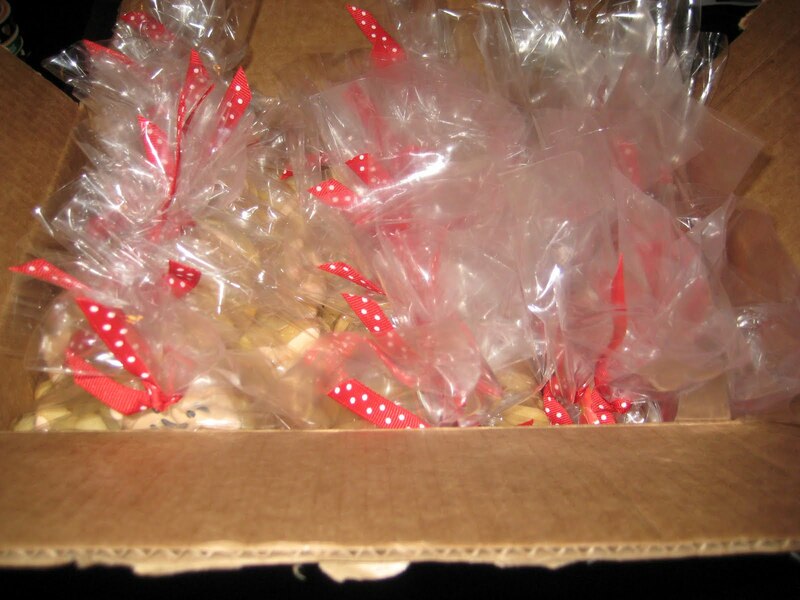 Packaged and ready to go! I had a great time making these and loved taking on a challenge! Next week, apples and beer! Happy baking everyone! 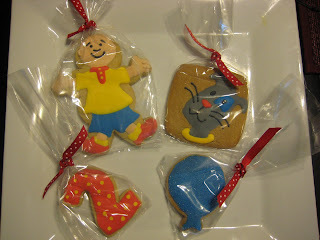 Hey, I want this Caillou Cookies! I'll include this on my Caillou Party Supplies list for my son's birthday! I'm an amateur baker who has discovered a new love for cookie decorating! Stay tuned to see what new designs and flavors I create!